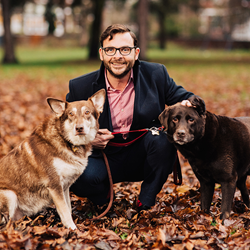 As a major new study reveals the dramatic positive impact dog ownership can have on those who live alone, pet insurance software specialist Aquarium Software says the findings are more reason to care for man’s best friend, by investing in pet insurance. With survey after survey showing increasing numbers of us are lonely, it is clear pets have a role to play in solving the problem and have a direct impact on our health in the process. The study of more than 3.4 million people in Sweden suggests the risk of cardiovascular disease reduces by 36 percent if single people live with a dog, and while the figure reduces to 15 percent with more people under the same roof, the positive impact of pets seems undeniable. Loneliness has been exposed as a major social and health issue in the UK. In March this year, the Jo Cox commission on loneliness found three-quarters of older people in the UK are lonely. Over half have never told anyone and seven in ten said friends and family would be surprised by how they feel. The findings led to Britain being dubbed the loneliness capital of Europe. The news that pets can provide a cure must lead to more of us investing in pet insurance for our own good, as well as our furry friends. “Stereotyping the lonely needs a serious rethink,” added Colonnese. An estimated eight million men say they are lonely, but keep it to themselves rather than admit it. As men are far less likely to join clubs to make new friends, a dog in these situations can literally be man’s best friend. Yet 42 percent of owners have never insured their pets, leading to difficult decisions if their pooch gets into medical trouble. “With loneliness as bad for health as diabetes, perhaps it is high time we stopped taking pets for granted,” concluded Colonnese.